I'm never quite sure how I feel about felt tip pen liners, in my experience they seem to be subpar compared to their liquid or gel brothers and sister. 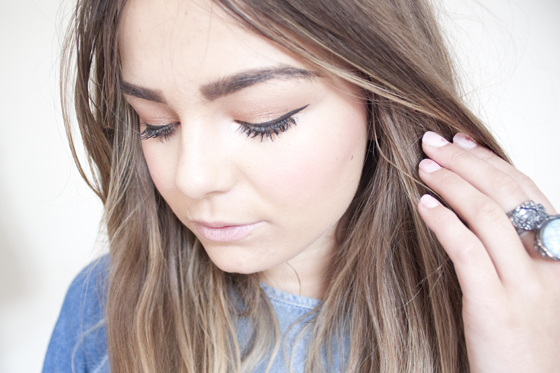 I normally use liquid eyeliner as I just find it ridiculously easy to apply. 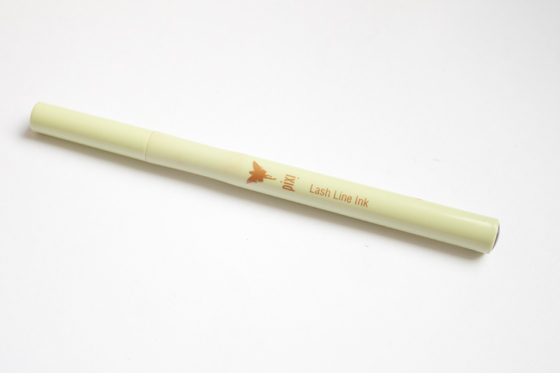 However I like to give everything a fair chance so I've been using this Pixi Lash Line Ink Liner for the past few weeks and I have to admit that I really, really like it. 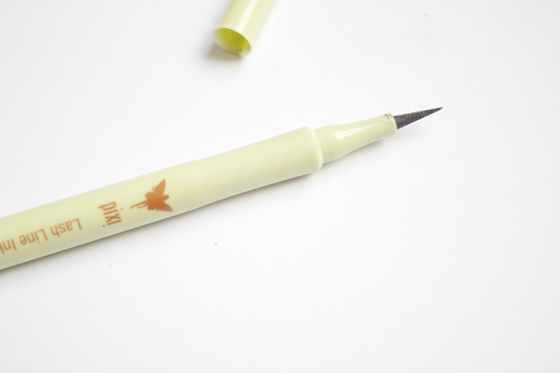 Pixi Lash Line Ink is a black, very thin nibbed eyeliner. I find it incredibly easy to use and create my signature flick. Literally it takes a few seconds to trace my lash line and flick out. Because the liner part is so thin and precise its perfect for making precise flicks without building up too much thickness. Its smudge proof and relatively waterproof, although I don't think its super waterproof, it doesn't start to come off at the first signs of moisture! I without overhyping I find this liner lasts so long on me. 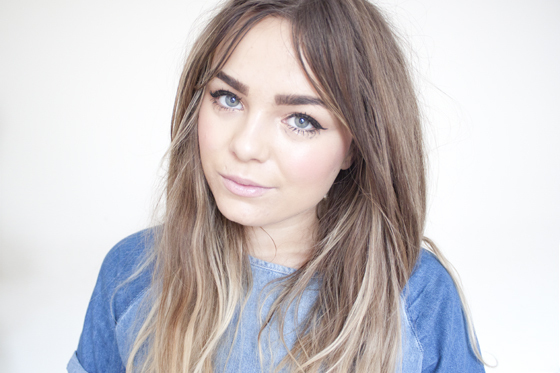 I went out last week with Zoe and I wore this eyeliner and after staying up all night and then falling asleep with my makeup (tut, tut) on it was still as black as it was when I woke up. It applies very black, and the formula is very inky and pigmented so you don't have to go over it 1000 times to get it to be black. It dries a true black too which I really like. Another thing I've noticed is that the pen bit hasn't started to get thicker as it wears down, it's still as precise as the first time I used it. 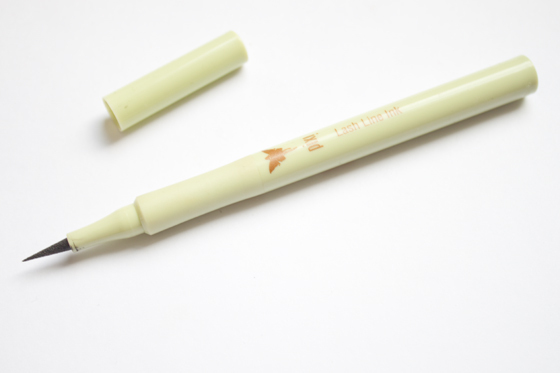 In my experience pen liners can dry out quite quickly, but I've been using this daily for about a month so far (but had it for a lot longer than that) and it hasn't started to yet. I really really enjoy using this product, and I will definitely continue to use it until something new comes up. It's on the higher end in regard to price at £12, but it would be something that would be perfect for beginners as it's literally the easiest thing to apply in the world!